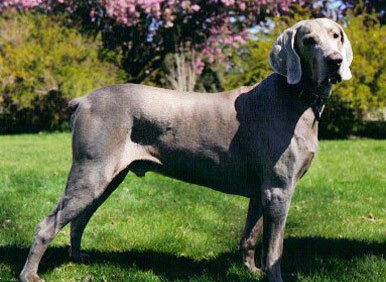 The Weimaraner or (Gray Ghost) is a picture of grace, speed, stamina, alertness and balance. 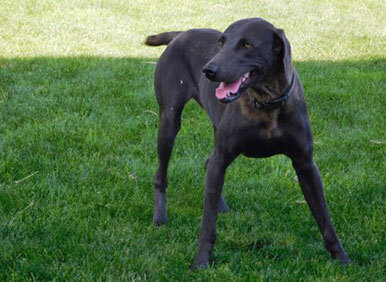 One family of dogs are reserved with strangers and make good watch dogs. They love their owners and will protect them. 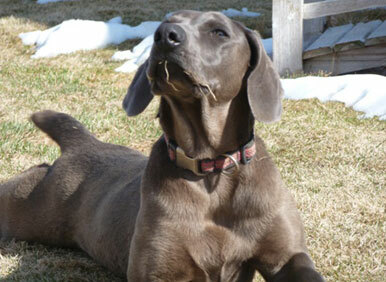 Weims require owners who have firm, no nonsense approaches, who will take time to train and socialize with them. They have a great sense of smell that makes them great hunting dogs. 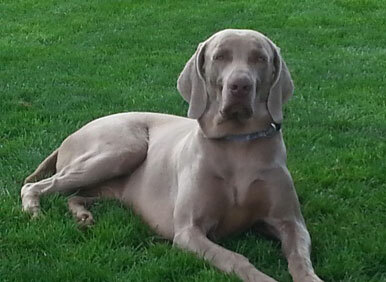 Weims have been known to hunt as long as six hours at a time. 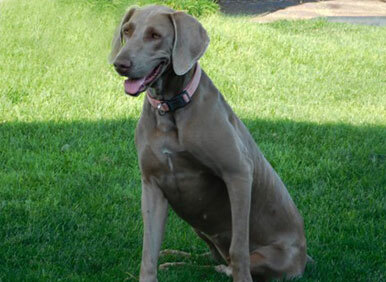 When well trained, the Weimaraner is a confident and aggressive dog, who makes a wonderful companion. It really doesn’t matter what you are doing, they just want to be with you. Temperament – responsive, alert, strong willed. With children – Yes, usually very friendly if properly socialized at a young age. Special skills – Field Sport Dog and family pet, the best companion you could ask for. Care and Training – Brush or shampoo the coat as necessary. 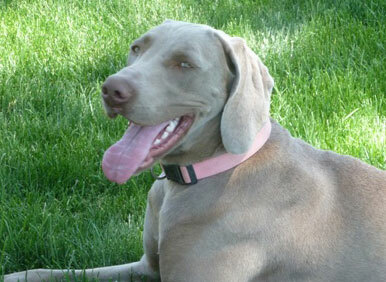 Weims need plenty of opportunity to run and a lot of regular exercise. 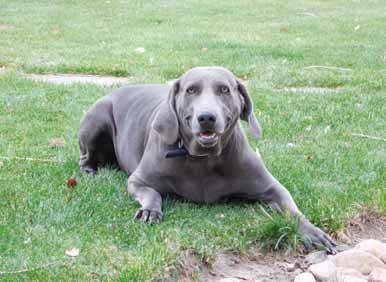 History – The Weimaraner first made their appearance over 125 years ago in Germany’s Court of Weimar. 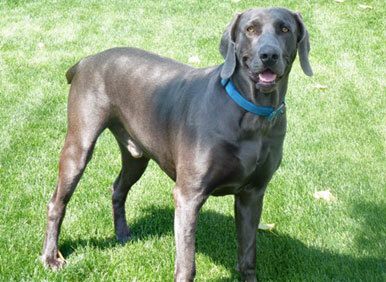 Their ancestry is from the old red Schweisshunde crossed with the German Shorthair Pointer and several other German hunting breeds. Originally, they were bred to be used to stalk deer and to hunt bear and boar. They made an impact in the U.S. and Canada after the 2nd World War. Colors – Gray, Silver Gray (light gray) or Blue. 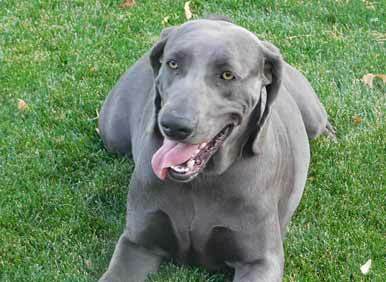 Click any dog to view additional photos and pedigree.